Chefs at work - Chef Mani is seen here busy in the kitchen with his two junior chefs cooking up a storm to serve the hungry diners waiting at the tables for their Friday evening dinner. 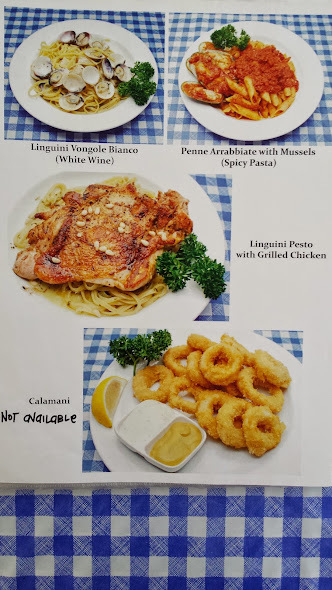 Chef Mani, age 45, has close to 21 years' of culinary experience, having served Italian Cuisine in fine dining restaurants such as Sabatini & Palladino, Korean Cuisine such as Su Korean Cuisine, Swiss German Cuisine such as StewHaus in Yio Chu Kang. 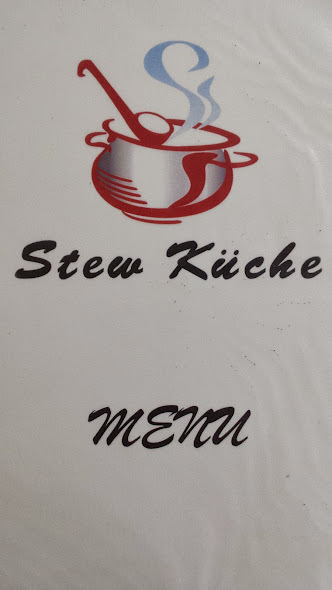 Chef Mani shared that at Stew Kuche, the cuisine is affordable at mid-range pricing, he strives to serve authentic European, Swiss German, Italian Cuisine of fine dining standard in a casual alfresco coffee-shop atmosphere in order to attract all stratas of society, be it middle income class, high income class, lower income classes. Chef Mani left Sabatini Ristorante Italiano to join a northern fine dining restaurant called Palladino as Chef de Partie & worked under Executive Chef Wayne Chong for about 3 years. Then he spent 1 year at JB Hyatt Hotel as Cook I. He returned to Singapore at Palladino for a year, then left to join Sketches Pasta & Wine Bar (which is now permanently closed in Singapore) at Bugis Junction, an Italian casual mid-range restaurant, serving Italian Cuisine. He stayed at Sketches Pasta & Wine Bar for a good 8 years, having rose from Junior Sous Chef to Head Chef in a year plus as he brings with him the experience from his stints at Sabatini & Palladino. After working for Sketches for 8 years, Chef Mani left & went to Butterworth, Malaysia, to join a Korean restaurant under an old Korean lady. He return to Singapore to join Su Korean Cuisine at Far East Plaza, 14 Scotts Road for a good 3 years where he picked up & served Korean Cuisine such as BBQ Steamboat, Kimchi Soup, Tofu Soup, Ginseng Chicken, Bibimbap. 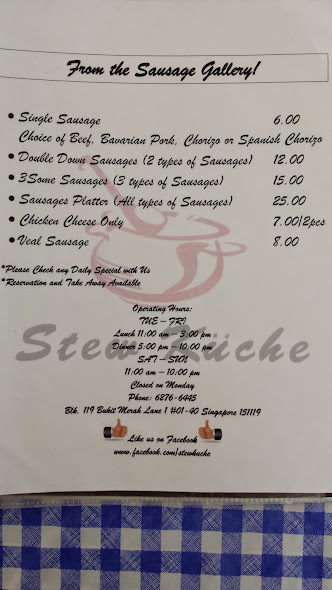 He left Su Korean Cuisine to join The Beach Hut Bar & Restaurant at East Coast Park (now closed permanently) for 6 months, then moved on to StewHaus at Seletar Gardens, 6 Cactus Road (off Yio Chu Kang), which is owned by Swiss-German Chef for a good 2 years. However the entire area underwent an en-bloc sale so StewHaus had to go. 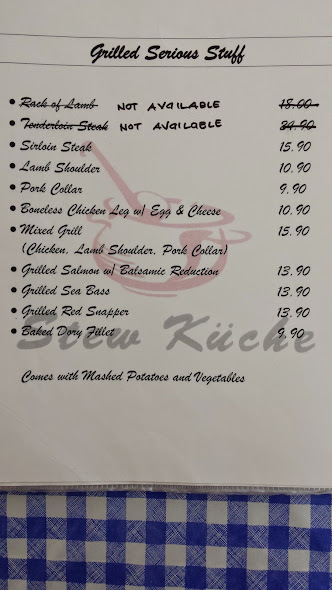 It was whilst they were packing up at StewHaus that Mr Chua (owner of current Stew Kuche) enquired of the reason for their packing, and discovered to his dismay that StewHaus at Yio Chu Kang was to close for good. 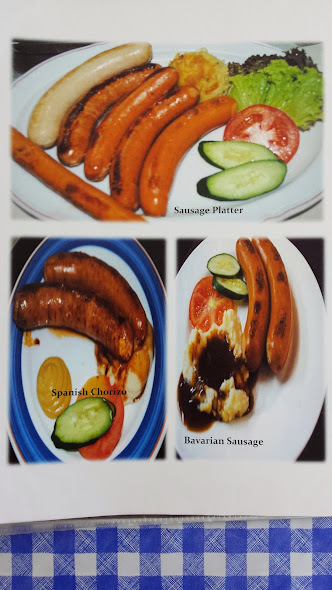 Determined that Swiss German Cuisine should be preserved here in sunny Singapore, Mr Chua cajoled Chef Mani to join him at 119 Bukit Merah Lane 1, to helm the main kitchen here. Initially Chef Mani was reluctant to helm a kitchen in a coffee-shop having come from working at top fine dining establishments in Singapore, however he was finally persuaded and convinced of Mr Chua's vision to build a Gourmet's enclave in 119 Bukit Merah Lane 1. This was the birth of Stew Kuche. Once he came on board to helm the kitchen at 119 Bukit Merah Lane 1, Chef Mani started to revamp the menu pricing at the western outlet at 119 Bukit Merah Lane 1 - De Burg, the other food joint within the same coffee-shop at 119 Bukit Merah Lane 1. 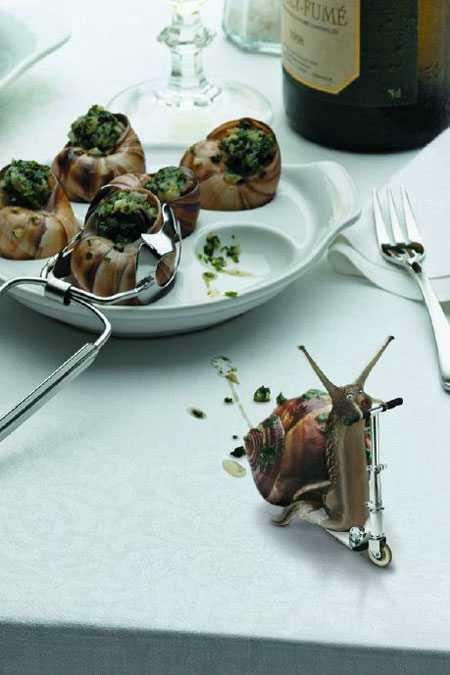 Chef Mani believes that :"If you provide good food at affordable pricing, you should see business grew by leaps & bounds." It is with this philosophy in mind practiced at Stew Kuche - where diners are spoilt for choice at the wide selection of great offers, premium great tasting beers, delectable desserts, sumptuous flavorful foods all at affordable mid-range pricing that drew throngs of hungry patrons to dine at Stew Kuche daily especially closer to weekends Fridays, Saturdays & Sundays (except Mondays where they are closed). 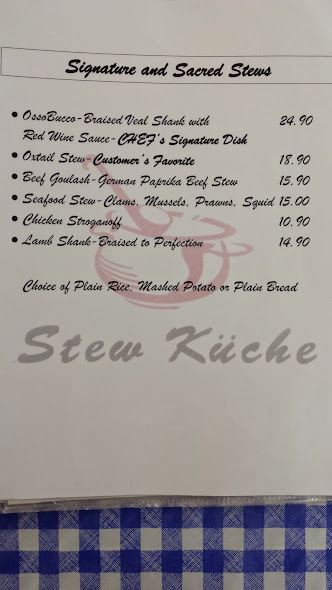 At Stew Kuche, Chef Mani handles all aspects of the business, from inventory management, purchasing, kitchen operations, menu planning & pricing. 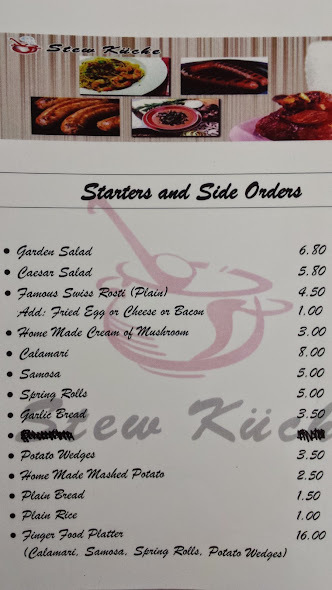 Menu planning is done every 6 months with menu changes twice a year. 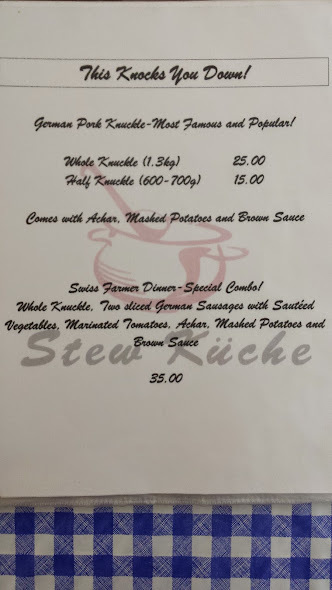 Stew Kuche serves authentic Italian, Swiss, German Cuisine using traditional recipes at mid range pricing. Chef Mani brings with him a good network of suppliers such as Angliss, Euraco, Indoguna, Phoon Huat, Golden Bridge, Huber's, Food Services, Singapore Food Industries. Chef Mani uses frozen lamb knuckle from Australia, sometimes from New Zealand. Grain-fed chilled beef air-flown from Australia are delivered weekly. Chef Mani oven-bakes an average of 100-200 pork knuckles a week. However there were some really good nights where he had to oven-bake about 80-90 knuckles a night. His pork knuckles were so in demand that he sold a record 2000 pork knuckles (combine sales of takeaway & dine-in) in a month during Christmas season last year. Generally Chef Mani orders his pork knuckles 1 or 2 times a week. Now he uses 3 large Combi-oven to cook 40 pork knuckle in each oven & 1 small oven to cook 10. 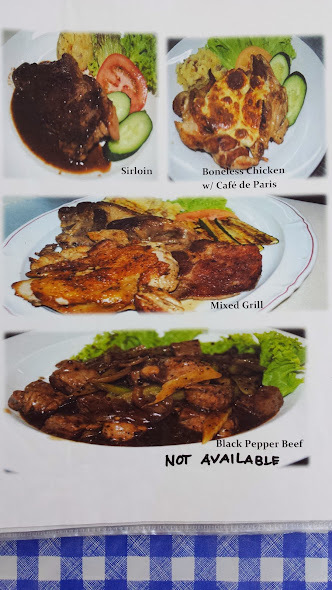 He uses air flown chilled pork knuckle from Belgium from his supplier Huber which is priced at affordable rate. 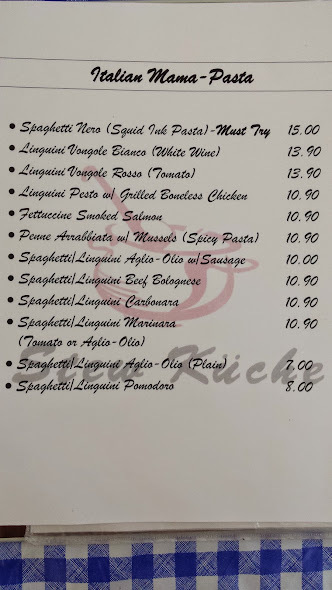 Chef Mani gets his pasta from Food Services, poultry mainly from Brazil frozen as the chicken legs are larger than fresh ones & they are already deboned on delivery. His ingredients are 100% from overseas, with vegetables from Malaysia imported by Pasir Panjang wholesale. He has two junior male Chefs assisting him, and one lady chef who doubles up as Service Supervisor. Chef Mani trains his junior Chefs on the job, particularly in cooking pork knuckles, lamb shank. There is no central kitchen now. Meats such as pork knuckles are marinated 2days, sometime Huber marinate for him upon delivery. Lamb shank stewed in red wine sauce are packed individually & kept in fridge ready to serve upon order, & can last for 4 days in the chiller. 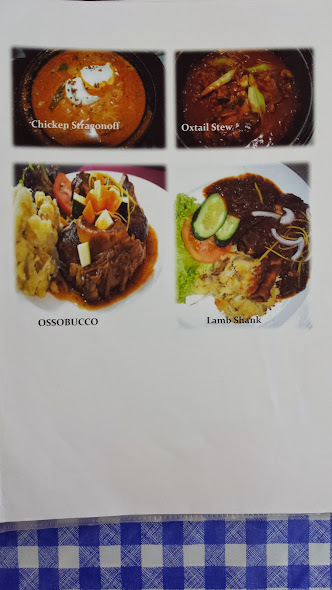 Veal Shank in Red Wine Sauce - has a melt in your mouth texture, is slow stewed on gas stove on low fire for 2.5 to 3 hours in large cast iron pot. 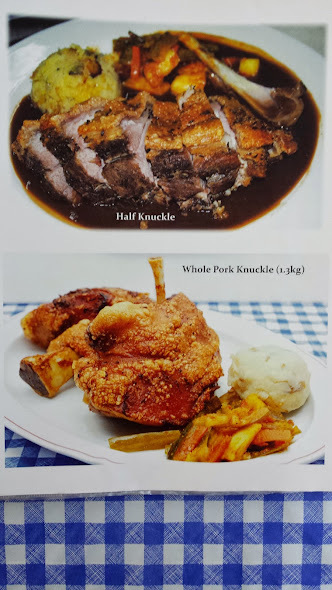 Pork Knuckle - is oven baked less oil more healthy. **Chef's Tip of the Day**- Chef Mani advice is not to overcook the Pork Knuckle, simply cook the Pork Knuckle for at most 2.5 hours and that itself is sufficient to ensure the meat is tender. Buffalo Mozzarella Cheese - The Buffalo Mozzarella cheese is sandwiched between two tomato slices & served with coral lettuce & drizzled with Balsamic vinegarette. 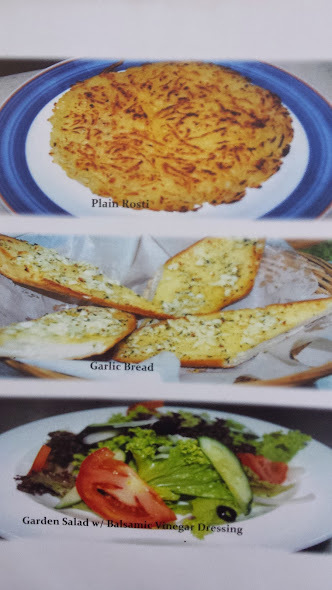 Chicken Cordon Bleu at S$13.90 - chicken breast wrapped in Cheddar cheese coated with bread crumbs, served with mashed potatoes, garden salad drizzled with special Chef's dressing. 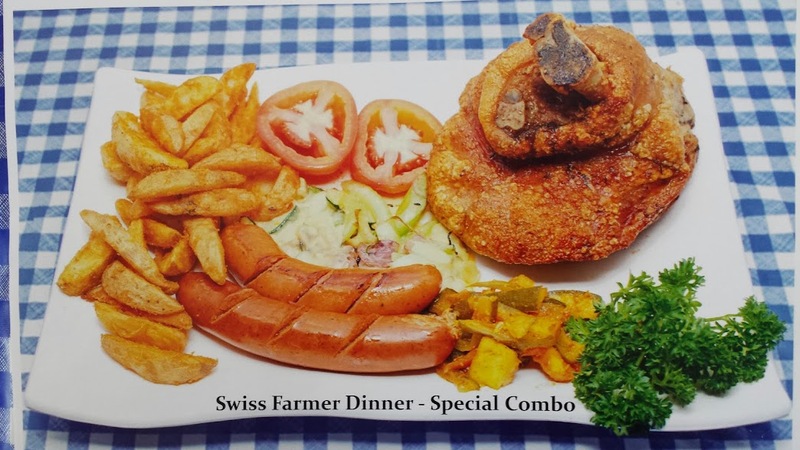 Swiss Farmer Dinner Special Combo at S$35.00 - The pork knuckle is served with German sausages, Achar, Wedge fries, Tomatoes, sauteed vegetables.